While most business owners pour all of their energy into starting and running a business, experience shows many do not think about the back end soon enough. It is more difficult to transition out of a business than it is to get one started. Furthermore, business owners need to be prepared for a black swan event: our job is to ensure that you are protected for the unexpected. 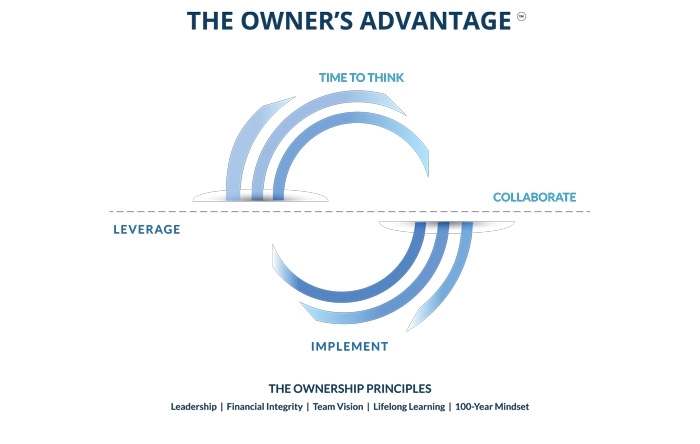 We developed a program called The Owner's Advantage™ to help business owners through every stage of their development: startup, growth, maturity, and succession or exit. Every stage of business ownership has different requirements. In the early years, it is a solid financial foundation to protect you from risks of ownership, and help you offer competitive benefits to your employees. With expansion, you will want to recruit and retain key employees. You want to make sure that you, your partners, and your employees are protected. A mature business thinks success(ion). What will happen after you exit? Exit, whether through sale, succession, death, or disability, is the scenario. Business continuity and success(ion) planning is a very deliberate process that requires time, deep consideration, and the advice of a collective team of experts. Beyond our in-house expertise, we also partner with other subject matter specialists (including your existing advisors) to ensure we have a comprehensive view of your situation. Back to Our Clients How well are you doing? Find out using The Owner’s Advantage ScorecardTM.